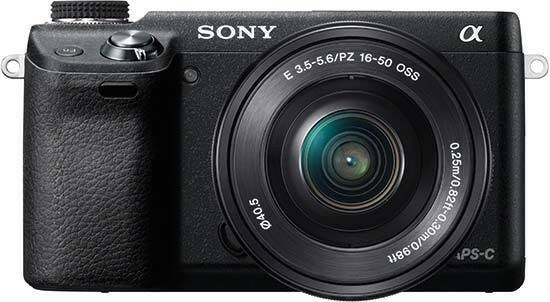 Reviews of the Sony NEX-6 from around the web. The new Sony NEX-6 is a new mirrorless camera designed to fit in-between the NEX-5R and NEX-7. It is targeted towards DSLR users, with Wi-Fi built in. The Sony NEX-6 is available as three different kits, body only at £699, kit with 16-50mm power zoom lens at £829 and a dual lens kit with 16-50mm and 55-210mm lens at £1029, all available in black. Having entered the compact system market in 2010 with the (long discontinued) NEX-3 and NEX-5, Sony has spent the past couple of years refining its NEX range with a new model appearing roughly every six months. During the same period Sony has also ceased to manufacture traditional DSLRs in favour of its Single-Lens Translucent (SLT) range of fixed mirror interchangeable-lens cameras. More recently Sony has finally entered the advanced compact market with the launch of the RX100 – it’s certainly been an interesting couple of years for the company, with plenty of innovation on show. Sitting between the high-end Sony NEX-7 and beginner-to-enthusiast level Sony NEX-5R, the 16.1 million pixel Sony NEX-6 is compact system camera aimed at DSLR and DSLT customers who are looking for high image quality in a much smaller body. Sony had a lot to show off just before we hopped aboard a flight to Photokina. The A99 was a lightweight bargain of a full-frame DSLR, the Cyber-shot RX1 was the most powerful compact we'd ever seen and the 16.1-megapixel NEX-6 was one of the finest mirrorless models of the year -- in other words, this is a camera manufacturer that's doing it right, with a wide range of high-end products that would make any tech giant proud. We won't dwell on the firm's troubling financial misfortunes, but based on the company's recent success in the digital imaging space, Sony absolutely needs to remain afloat -- the interchangeable-lens camera market simply wouldn't be the same without it. Sony seems content with rolling out endless variations on its popular line of mirrorless cameras. The final one for 2012, the NEX-6, fills out the pricier end between the NEX-5R and the NEX-7, but can it find a foothold to thrive among so many siblings?